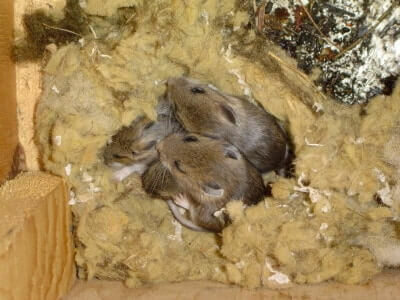 Home / Blog / Could Your Remodeling Project Result in a Rodent Uprising? Could Your Remodeling Project Result in a Rodent Uprising? Spring isn’t just about rebirth, renewal, or regrowth — for many, it’s about remodeling. Before you plan a graduation celebration, you might want to freshen up the front of your house by upgrading your porch or entryway. Or if you plan on being a backyard BBQ king, you might need to plan a patio with a fire pit and plenty of seating. But nothing takes the excitement out of home improvement like finding an unexpected rodent infestation. 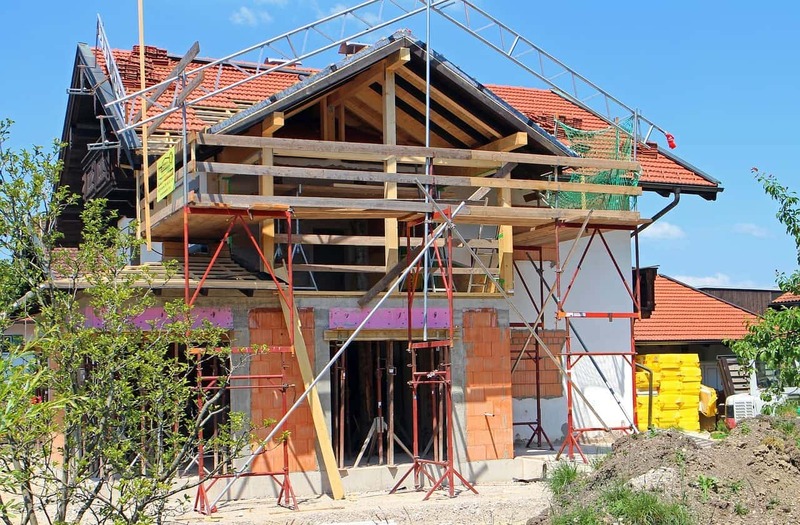 New construction or home renovations often go hand and hand with pest problems. 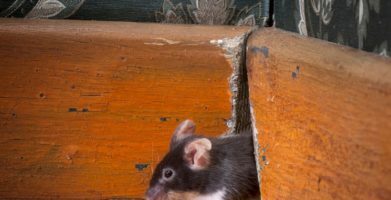 Remodeling can be frustrating enough as it is, so few people want to talk about the unintended consequences, like an uptick in rat sightings. The reality is that your home improvement project may be a demolition derby for the quiet little critter you didn’t know was nesting in your basement, attic, dryer vent or any other out of the way place. Are rats attracted to construction? It isn’t hard to understand why people sometimes think rodents are attracted to new construction or remodeling. If you never noticed a rodent problem in the area before, and then start seeing rats and mice once the work begins, it seems pretty obvious. The idea makes even more sense if you believe that rodents like dirty places with lots of clutter and debris — a construction site would be very attractive to them. Unfortunately, the more likely truth is that the rodents were always there — they were just in hiding. When construction or renovations begin, rat burrows and mouse nests are disturbed and they are forced out into the open. 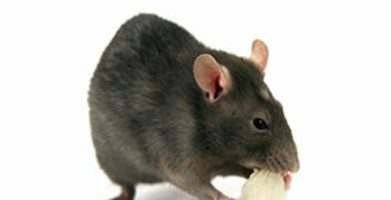 There are two types of rats in North America that cause homeowners problems, the Roof Rat and the Norway Rat. Roof rats (aka black rats or ship rats) can be found in the coastal and southern regions of the U.S. They tend to live in the upper parts of buildings frequenting warehouses, factories, and other industrial settings, but can also be found under, in, and around structures. Norway rats (aka city rats) are happy making their home indoors or out, frequently burrowing in soil, garbage, woodpiles, and under concrete slabs. Although they get the most publicity for stalking NYC subways and earned Chicago the title of “rattiest city,” they can be found anywhere in urban, suburban, and rural America. Both are most active at night and can transmit numerous diseases such as plague, jaundice, and salmonellosis. You may think those mice came out of nowhere, but you just didn’t know how to recognize the signs — until now. When looking for signs of a pest infestation, you need to think like a rat. What may seem like a small thing can turn into a big problem if left unchecked. 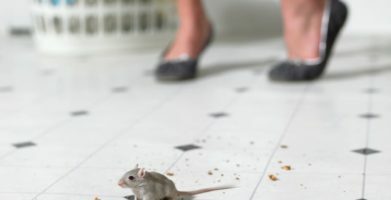 Things like greasy looking rub marks close to the floor along walls; a stale, musky, “mousey” odor; little black rice-like pellets and strange noises like squeaks, rustling, or scurrying sounds all indicate a rat or mouse problem. The idea that rats and mice might be living alongside us and we wouldn’t even know it is disturbing, but that’s how these pests have survived and thrived for thousands of years. 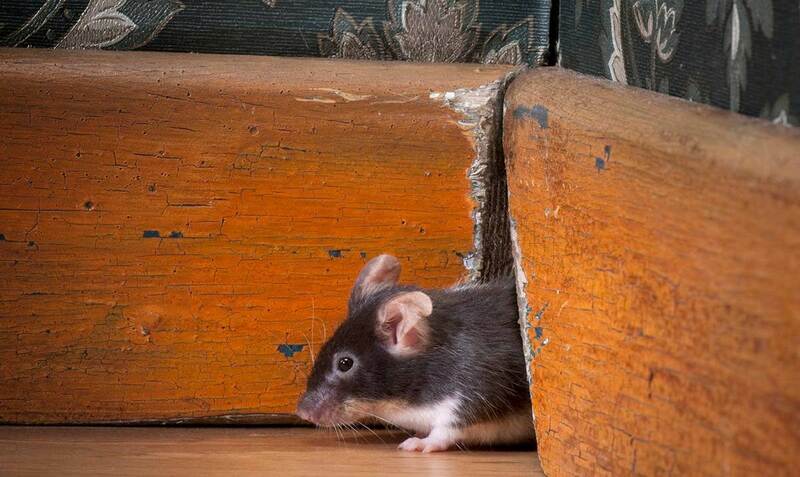 Remodeling projects small and large have the potential to disturb hidden rodent dens. The problem doesn’t become apparent in some cases until you have dug deep into the recesses of untouched storage areas like basements, attics, or crawlspaces. Construction affects everyone in the area. The sound of pounding hammers, scraping shovels, and the ambient noise of a work site are difficult to ignore. At least you can shut your windows and put on some headphones. If neighboring construction has disturbed a rodent den, the problem is a bit harder to ignore. Clean up. Clear away anything pests are attracted to such as easy food sources like a dish full of dog food or that sink full of dirty dishes you forgot to wash.
Seal up. Seal cracks, gaps and holes around your home that rodents or insects might enter through. Pouch up. Place earthkind’s natural pest prevention pouches around your home for a level of protection that goes above and beyond. Pest prevention is the most successful when a community works together. Talk to your neighbors about the scope of the problem and what steps you are taking around your home. Encourage others to use covered trash cans and to only put garbage outside as close to collection times as possible. Ask people to refrain from feeding wild or stray animals. If food is being left out and attracting rodents, you may want to consider contacting your local Health Department. Spring isn't just about rebirth, renewal, or regrowth -- for many, it's about remodeling. New construction or home renovations often go hand and hand with pest problems. Remodeling can be frustrating enough as it is, so few people want to talk about the unintended consequences, like an uptick in rat sightings. The reality is that your home improvement project may be a demolition derby for the quiet little critter you didn't know was nesting in your basement, attic, dryer vent or any other out of the way place. It isn't hard to understand why people sometimes think rodents are attracted to new construction or remodeling. If you never noticed a rodent problem in the area before, and then start seeing rats and mice once the work begins, it seems pretty obvious. The idea makes even more sense if you believe that rodents like dirty places with lots of clutter and debris -- a construction site would be very attractive to them. Unfortunately, the more likely truth is that the rodents were always there -- they were just in hiding. When construction or renovations begin, rat burrows and mouse nests are disturbed and they are forced out into the open. Norway rats (aka city rats) are happy making their home indoors or out, frequently burrowing in soil, garbage, woodpiles, and under concrete slabs. Although they get the most publicity for stalking NYC subways and earned Chicago the title of "rattiest city," they can be found anywhere in urban, suburban, and rural America. You may think those mice came out of nowhere, but you just didn't know how to recognize the signs -- until now. When looking for signs of a pest infestation, you need to think like a rat. What may seem like a small thing can turn into a big problem if left unchecked. Things like greasy looking rub marks close to the floor along walls; a stale, musky, "mousey" odor; little black rice-like pellets and strange noises like squeaks, rustling, or scurrying sounds all indicate a rat or mouse problem. The idea that rats and mice might be living alongside us and we wouldn't even know it is disturbing,  but that's how these pests have survived and thrived for thousands of years. 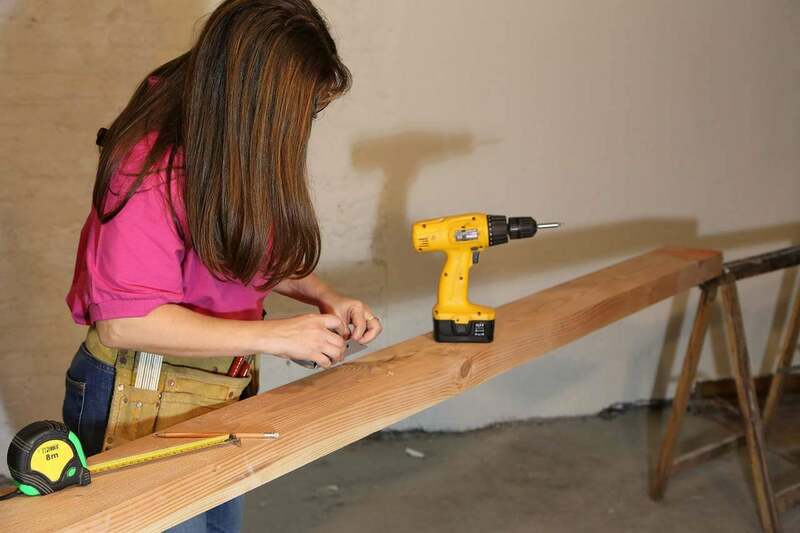 Remodeling projects small and large have the potential to disturb hidden rodent dens. The problem doesn't become apparent in some cases until you have dug deep into the recesses of untouched storage areas like basements, attics, or crawlspaces. Pouch up. Place earthkind's natural pest prevention pouches around your home for a level of protection that goes above and beyond. string(58) "Could Your Remodeling Project Result in a Rodent Uprising?"